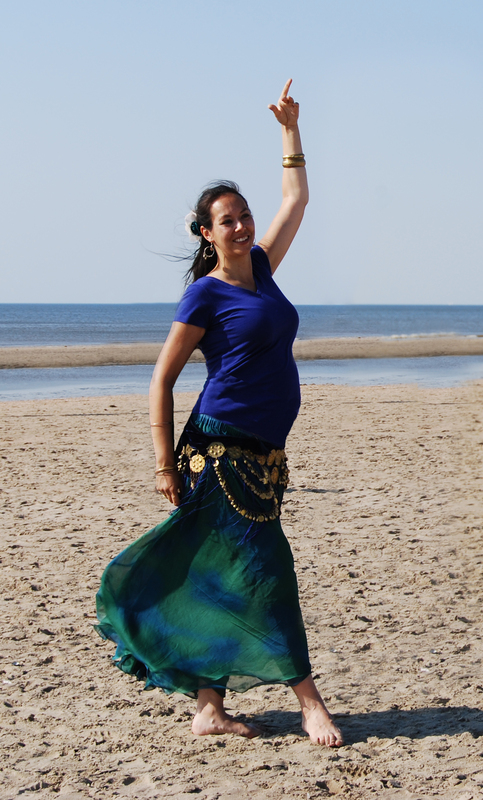 Guest Post from Kyria: How instructional DVDs helped me become the bellydancer I am now – A t i s h e h. Dance. Fitness. Joy. Dear readers, Kyria is back with another wonderful, deeply informative post on how she uses bellydance DVDs in her practice. See the previous post for her top ten DVDs for intermediate and advanced bellydancers. And check out her website, www.buikdansereskyria.com. Before I dive into my lengthy love story with instructional DVDs, let me start by saying that although I’ve been a professional bellydancer for ten years, I will never have much of an international career, be part of the Bellydance Superstars (whatever happened to them?) or believe I am the next best thing. I have regular breakdowns when I critique myself on practice and performance videos, after which I pick myself up and make a plan to work on my weak points. At times, I wonder why I still bellydance because it is so much work to keep up and maintain good form and consider giving it all up. And then a student tells me how she looks forward to class every week, I browse through pictures of the friends I made and the events we organized and I fall in love with bellydance all over again. I meet up with dance friends, I organize haflas and perform for a small and intimate audience. I get hired for private parties, sometimes in a castle, most often in someone’s living room or a party center. I went on dance trips to Egypt, Turkey, or less exotic locations like Belgium, Great-Britain and Germany where I met wonderful women who all love to dance. I see my students grow week after week and doing research for my classes is one of my favorite ways to fill my lunch breaks at work. I am part of two troupes: the Dalla Dream Dancers, a troupe dedicated to offering high quality group performances in Folkloric and Oriental Style. We came to be after working together on several theater projects and thinking ‘this is neat, let’s make this a regular thing!’. We also work on performances for theater shows and such. The second troupe consists of teachers in my area. We’ve connected over our mutual interest and have created a fair share of haflas, workshops and performances in the past six years or so. Sometimes we meet two times a month, sometimes we meet once every two months depending on what’s cooking. My main dance style is Egyptian/oriental and though I take weekly ballet classes and have a background in jazz ballet, I prefer to dance to Arabic music with the bellydance movement vocabulary. One of the biggest challenges of being a professional dancer is how to continue my education. I love going to workshops but due to constraints in time and finances I can only attend a limited amount of workshops per year. Early on I discovered the wonderful world of instructional DVDs, helping me to keep on learning on a tiny student budget. An added bonus is that instructional DVDs contain excellent examples of teaching styles and different methods and technique that I can use to shape my own practice and the classes that I teach. It took me a while to get the hang of it though. Let’s go back in time to when I was a bright-eyed intermediate student, looking for a challenge. I was taking two bellydance classes a week and was on a budget. Through eBay I bought my very first instructional DVD: a four-DVD set by Dolphina. Putting the DVD in the tray of my computer (I didn’t own a DVD player at the time) in my student room, I was excited that I could practice in my own home. It wasn’t long until I realized that from the four DVDs, I really liked one (warrior) and some of the others contained material that I disagreed with or didn’t work for me. Let’s just say that I am not the type to imagine goddess-like scenes during my practice. Some of the advice on technique and posture also didn’t work for me. If you want to try Dolphina’s instruction, go to her YouTube channel. She recently put some of her DVDs on YouTube for you to practice with. In my country, we weren’t big on credit cards or online shopping at the time. A local Arabic music shop in my street carried several instructional DVDs and I bought copies of Veena & Neena’s instructional DVDs. Yes, I know that those DVDs are not aimed at bellydancers but in 2003, it was hard to find affordable instructional DVDs. The IAMED DVDs were great, but they cost over 40$ a piece, plus international shipping and import taxes. I had to start small. The Veena and Neena DVDs worked well for me, going over most basic moves and a couple of combinations. I can honestly say that at the time, I had no clue about my own dance skills or if I made progress or not. All I knew is that I loved bellydance and that these DVDs got me hooked on practicing at home. The great thing about not being a professional is that I was still able to take weekly classes with various teachers, receiving corrections on posture and technique. When I turned professional in 2006 (as usual in retrospect too soon and lacking in technique and various other skills) I signed up for a two-year course on becoming a bellydancer. I also knew that I couldn’t take classes with other local dancers anymore due to conflicts of interest (teachers were afraid you’d copy their classes or choreography and teach them as your own). By profiling myself as a professional, I needed to show that I had the skills to teach my own class, create my own choreographies and work on solo performances. Thus I entered the workshop scene and started investing in more expensive instructional DVDs. I highly recommend signing up for a longer program if you are interested in oriental dance. Even if you don’t want to be a professional dancer, it is great to get in depth knowledge in the various styles, rhythms, instruments and other facets of bellydance. By now I had ‘graduated’ from the Veena & Neena DVDs and was looking for a different challenge. I had to make a couple of wrong turns when it came to choosing bellydance DVDs before finding what worked for me. The fitness type bellydance DVDs were the cheapest ones and I soon found out why. They barely contained bellydance! Instructors would string together a couple of moves and called it a workout. After a couple of errors, I bought a couple of second hand IAMED DVDs on Bhuz. What a relief to get high quality material in a neat package! Each DVD contained enough concepts and material to work on for weeks. I liked to run the DVD and press pause, then practice to make sure I got it before moving on. What I was lacking was regular, structured practice of the basic moves. I needed to keep my omi’s smooth and accents sharp. But how? The biggest influence on structuring my home practice came in the shape of three big names in the dance community. The first one was the 3-DVD set from Jillina that came out as the BDSS were rising to fame. The choreographies were challenging and different from what I had learned. It really helped me to look my own choreography skills and use of footwork and make changes. The second one was also a BDSS DVD: Tribal Fusion with Rachel Brice. This DVD contained several drills with a fair amount of yoga. I got my mat out once or twice a week and started doing my asanas and breaking my moves down into smaller pieces. The third was the fitness fusion DVD set by Suhaila. My earlier experiences with bellydance fitness DVDs in mind, I didn’t expect much, but I was pleasantly surprised. Suhaila’s method for breaking down movements and drilling (mixing it with stretches and a bit of yoga and Pilates) impressed me with the need to cross train. I couldn’t take local bellydance classes but I could join the local yoga school and a Pilates class! I still like these dancers, though in the meantime they have developed even better DVDs that I like to use on a regular basis. 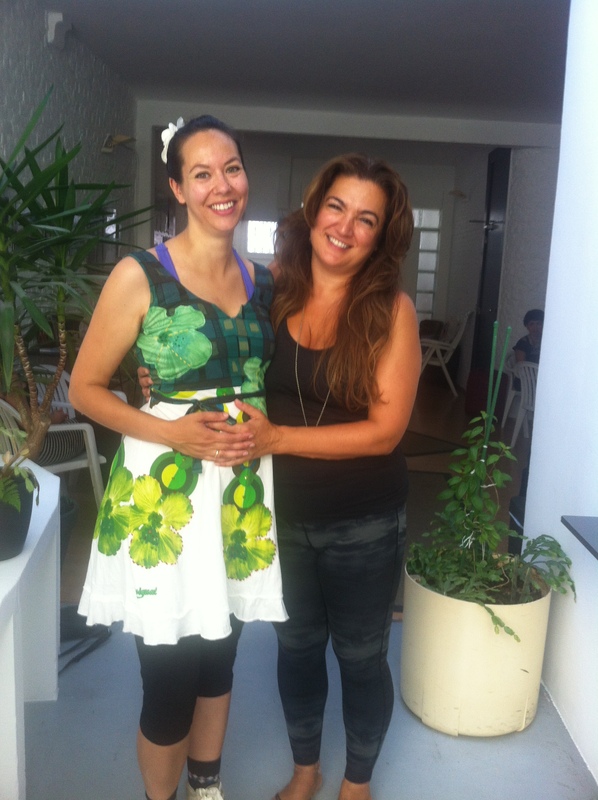 When Jillina and Rachel came to Amsterdam to teach workshops, I got a chance to experience their teaching method in real life. It was such a pleasure to see the dancers that I’ve been ‘training’ with on DVD in a big dance studio. Getting used to their training method helped me to make the most of the workshop and retain as much as possible. I got to ask Jillina for advice on how to keep advancing and she was adamant: take ballet classes. So I signed up for adult ballet classes in 2008 and continue to take these classes until this very day. She was absolutely right: I have learned so much from my wonderful ballet teacher. Footwork, arms, carriage, posture and lines. But ballet is not bellydance: sometimes the concepts conflict with each other. With Rachel Brice there wasn’t time for me to ask personal questions, but she credited and mentioned Suhaila Salimpour in her workshops. This sparked my interest and I decided to purchase more Suhaila DVDs and if she ever taught workshops in my vicinity (read: Belgium, Germany, Netherlands) I’d go. I finally got my opportunity in 2015 to take a three day intensive with her in Brussels. After taking workshops with Aziza in Duisburg at the annual festival organized by Leyla Jouvana, I was so impressed that I bought her practice companion DVD. The DVD is really, really good and her real-life workshops are even better. I like to take workshops with her whenever she is in the vicinity, every year or so. She keeps on adjusting and creating new material and ways to explain things that can keep me occupied for years. The last couple of years I have been noticing that I like to revisit DVDs that I worked with in the past. My vast collection now spans over three hundred DVDs and serves as a library that I can go to when I am looking for inspiration or have a theme I want to work with. To stay in shape I regularly use exercise DVDs like Jillian Michaels’ 30 Day Shred, power yoga, Yoga Booty Ballet (it’s wrong on so many levels yet very entertaining) and the New York City Ballet Workout. Now that I am pregnant I finally have an excuse to buy prenatal bellydance DVDs and try those as I am going through the different phases of pregnancy. I am eager to see where my journey in dance will take me next but instructional DVDs will be part of it. Currently I am reorganizing the filing system for my DVDs and creating a schedule to stay in shape during my pregnancy and after the delivery. I work full-time and have little time left to attend classes, so DVDs are the perfect solution for me. I am exploring options like streaming classes but so far, I prefer DVDs or digital downloads as they are always available and are not dependent on a fast and smooth connection. This was an interesting post for me, as I’ve recently moved to an area with no classes available above a beginner/improver level, and where I’m not longer able to travel to the advanced/pro class I used to attend. I’m starting to think of working more seriously with DVDs to make up for the lack of higher level classes, but I’ve always found it difficult to structure DVD practise. It’s sad that you weren’t able to keep coming to classes once you started dancing as a pro. I cannot get my head around the idea of a teacher not wanting professional dancers in their class, it seems very insecure and paranoid to me for teachers to assume that every professional performer must just be out to steal material, rather than there to work on their own dancing. As a professional performer and a teacher, I’ve always gone to weekly classes, even when I’m also teaching my own classes, and it never even occurred to me that teachers might have a problem with me being there. I’m pleased to say that nobody has ever questioned my motives – I can’t imagine how I would have reacted if they had done!